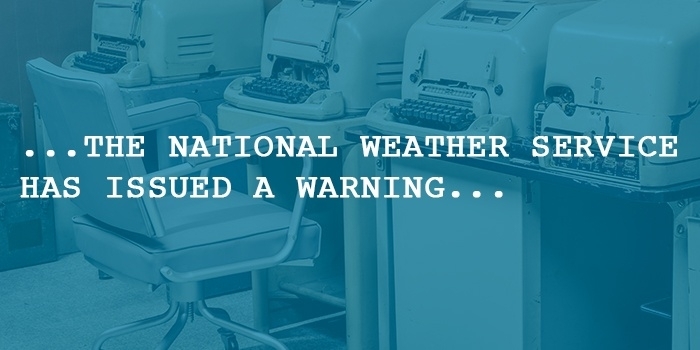 If you use the InformaCast Inbound CAP plugin, you’re probably familiar with the National Weather Service’s affinity for all-caps announcements. According to The Atlantic, while today’s forecasts are typed on computers, the all-caps format ties back to the days when an older infrastructure system used teletype machines that could only transmit in all caps. Now, after 20 years, the phase-out of the old technology is complete, and when the new system is rolled out on May 11, mixed-case will be the new standard for forecasts. However, all caps will still be used in emergency situations, such as tornadoes. Some users tracking alerts with InformaCast’s Inbound CAP plugin filter results by searching for specific headline terms. If this is the case, you want to make sure that filter is set to “Ignore Case” or certain alerts may be missed. For example, if a user is pulling alerts for the term “TORNADO,” and the filter is set to be “Case Sensitive,” alerts for “Tornado” will not be pulled in. To correct this, simply go into the Inbound CAP plugin in InformaCast and switch the filter to “Ignore Case” before the May 11 switch from the National Weather Service.